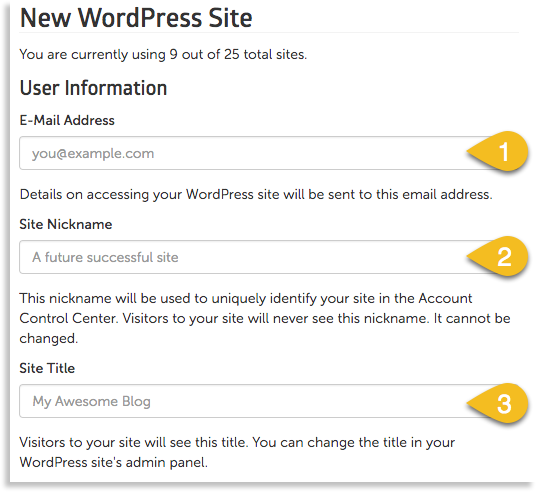 You can create WordPress sites inside the Account Control Center (ACC) of your WP Enthusiast or WP Professional account. The creation process may take a few minutes. Once done, a confirmation screen will appear listing the installation details for the new site. That will contain your login credentials and other important information. It is recommended that you save the information shown for future reference.